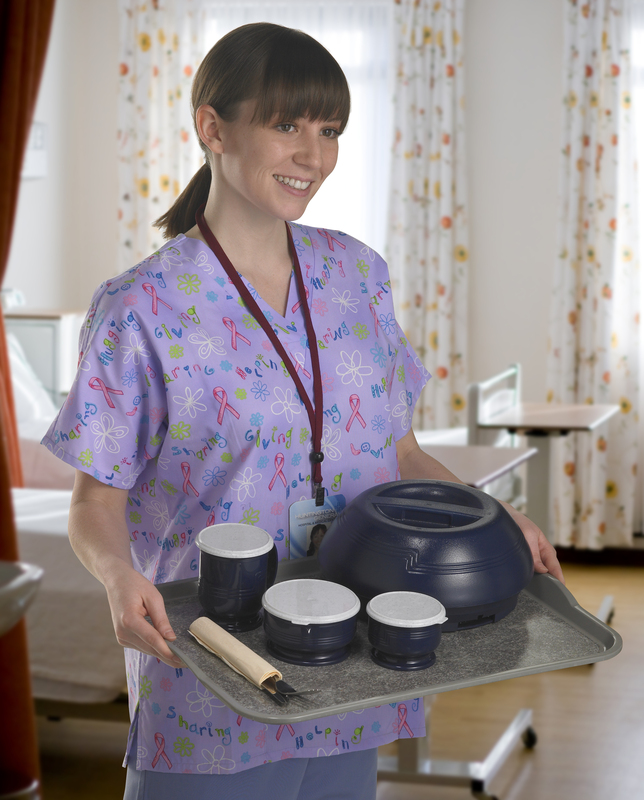 As hotel-style room service continues to gain popularity in hospitals, facilities interested in moving away from traditional tray line understand the positive impact that room service has on patient satisfaction scores but are challenged with justifying the cost associated with this unfamiliar territory. Changing long-standing practices can be made easier by focusing on some of the critical areas in the planning process. We often hear that change must come from within. This also applies to organizational changes. A dedicated executive team who strives for higher customer service and patient experience is more likely to provide its employees with the right resources to improve efficiency and reduce turn-over rate. Therefore, the key to an efficient department is to build a strong foundation that can pass the culture down the employee chain. Everything else is built on this foundation. “A manager is only a servant to the workers—to manage and to provide employees with the education, training and the right work conditions. It is the employee’s job to serve your customer and to give that customer an excellent experience. So it’s critical that the manager looks after the employees,” shared Mark Dyball – Executive Chef/Principal Consultant and Owner of Healthcare Culinary Solutions. Assessing available resources and paving the way to a profitable revenue plan can justify the cost of implementing a noteworthy room service program. While in-house chefs are viewed as cost, evidence shows otherwise. An in-house chef is an investment that can help improve the food quality for retail customers and patient meals while generating a tremendous amount of revenue that can be used towards improving patient satisfaction scores. The in-house chef also spearheads staff responsibility to better plan inventory and production. “Operators should realize that the chef is an investment that increases revenue and patient satisfaction scores. A well planned room-service along with robust retail dining that brings in significant revenue justifies for the cost of an in-house chef,” said Mark. Now is also a good time to look into other expenditures that can be reduced or eliminated as yearly recurrent costs. Simple changes like using reusable lids and non-skid trays make an impact to the bottom line, green initiatives and more importantly patient care and satisfaction. 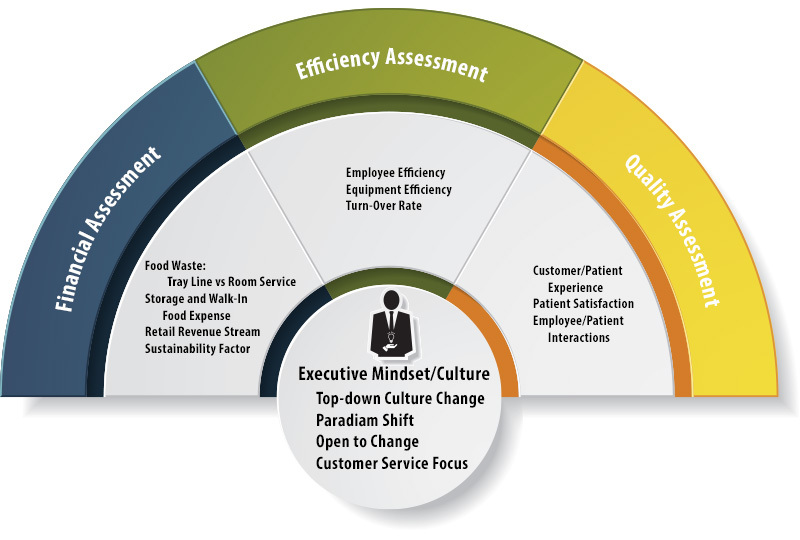 Employee efficiency is vital to patient satisfaction scores. Employees that are properly trained and provided with resources are more likely to be motivated, responsible and engaged with patients. This also contributes to lower employee turn-over. The other aspect of efficiency is in the tools and equipment employees use to execute their day-to-day tasks. From food preparation to delivery, having a robust temperature retention solution or a more convenient meal delivery solution will deliver faster service and increases patient satisfaction. Health-conscious individuals with specific diet preferences expect to be served this diet when hospitalized. When hotel room-service is executed right, it allows patients to order freshly made foods from a wider selection, at the time desired. Therefore, assuring that the quality of the food—from the ingredients to having optimal temperature upon delivery—is paramount to patient appetite, recovery and satisfaction rating. “It gives the patients some control because they have nothing. They come to that room, stripped, put into a gown, put on a bed and everything else is taken away but room service. This also allows nurses to have more time to spend with the patients instead of dropping off trays and running to the next. I always say, food is important but customer service is more important,” added Mark. Strategic investments, supported by Senior Management and executed by efficient staff, should result in increased patient satisfaction scores and revenues. 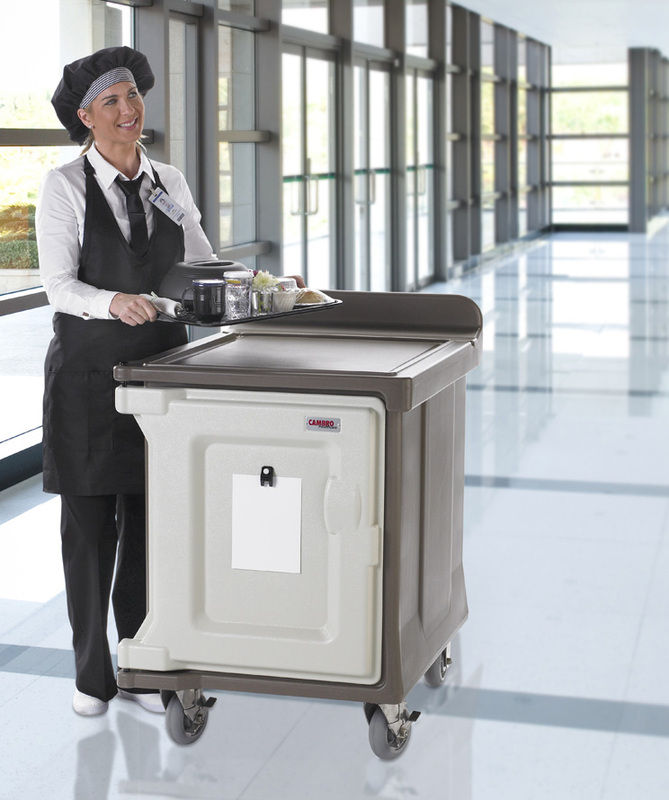 For ideas and solutions to your foodservice challenges, contact a Cambro Healthcare Specialist or visit www.cambro.com/HealthcareSolutions. Mark Dyball is the Executive Chef/Principal Consultant and Owner of Healthcare Culinary Solutions. With over three decades experience in culinary arts, Mark has dedicated the past 25 years to passionately transform healthcare foodservice. Mark has successfully implemented 28 hospital room service models.